KARACHI: Serajus Salikin, a 22-year-old student of Shaheed Zulfikar Ali Bhutto Institute of Science and Technology (Szabist), is all set for his debut on the silver screen, as his documentary will be screened at the upcoming Cannes International Film Festival. The 67th Cannes festival will open on 14th May. Salikin’s documentary, Masters of the Sky, has been selected for the Short Film Corner and focuses on the traditional art of pigeon fighting. The documentary was produced by the media sciences student as a final project for a course entitled Documentary Vision, according to Shehram Mokhtar, head of the institution’s media sciences department. After winning awards at national film festivals organised by Lahore University of Management Sciences, Aga Khan University and Szabist itself, Salikin opted to try his luck at Cannes. “I cannot explain my excitement,” he told The Express Tribune. “I was not expecting the film to be accepted!” Salikin says he also hopes that the screening will enable him to meet investors interested in producing a feature film from the short documentary. 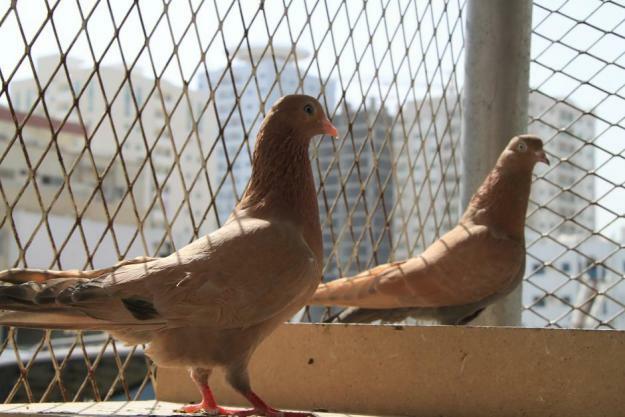 Salikin’s nine-minute documentary follows Mehmood Ashraf, a veteran ‘kabootarbaz’ [pigeon fighter] of Jamshed Road, a close-knit neighbourhood of Karachi, where pigeon fighters practice their art on rooftops and in the narrow winding streets of the pigeon market. Salikin followed Ashraf, who has been practicing the sport for 60 years, as he passes his art to a young apprentice, Huzaifa. The official selection for the festival will be announced by festival director Thierry Frémaux today. Published in The Express Tribune, April 17th, 2014.